For the first time ever, two greenways are crossing paths! Thanks to the consistent and focused advocacy work of Ballard Greenways and Seattle Department of Transportation, the NW 58th Street Greenway goes west to east from Shilshole to 4th Ave NW, crossing 17th Ave NW that goes between Leary Way NW and NW 89th St.
Read more about this historic first piece of a citywide safe streets grid at Seattle Bike Blog. 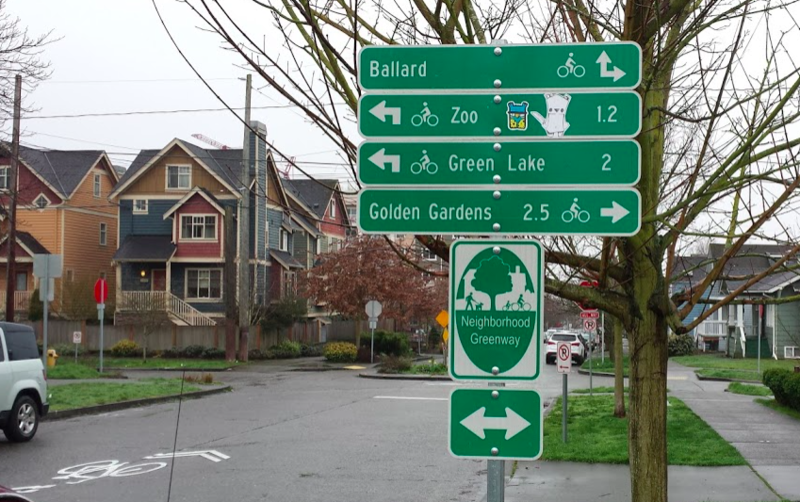 What’s the sound of two greenways crossing?